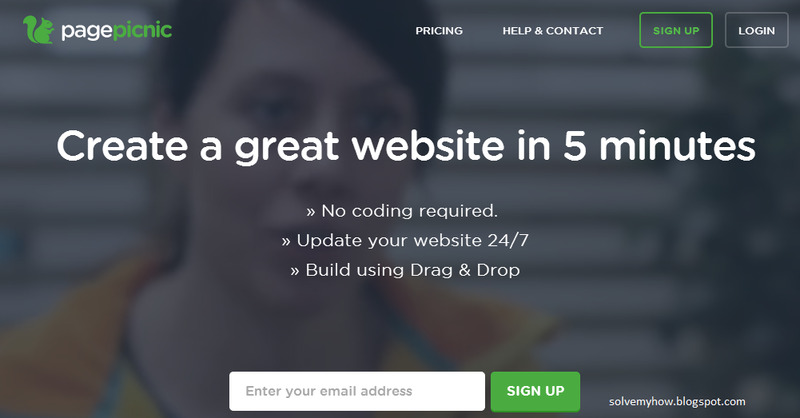 Do you want to increase Traffic of your website ? Well if yes ...! Then, I must say SEO Optimization plays the most important role in maximizing your site's traffic. Site Optimization is very necessary, if you want to get organic traffic from search engines like Google and Bing. It's pretty difficult task to come in first page of any search engine. It needs very good site optimization SEO techniques. Every search engine follows some algorithm to rank sites in the search results. So that's why we will learn SEO Optimization tips and we'll do free search engine optimization on our blog or website to come in top ranking of Google search results. When SEO is Required ? Well you might have observed that the post your are writing had already been written by many people. So, what to do in that case ? How to come in top search results of Google ? May be these many question are coming in your mind. 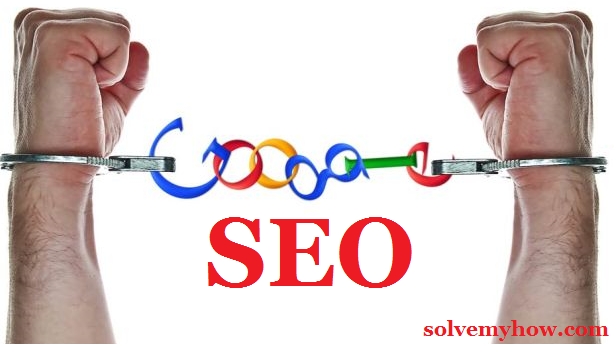 If SEO wouldn't be there you might get your link at the very last page of Google as you've submitted your link lastly. So, at that time "Google's SEO algorithm" plays a important role in ranking genuine results in the top. But it really requires very hard work to do SEO and to improve Page Rank/Popularity of the site. So, now you have very clear idea about SEO and why it is required ? So lets learn how to do it, to improve site's Page Rank and popularity. We all know the most used and reputed search engine is Google and in this post we'll make use of Google products to improve SEO. Step 1 :- Use Google Keyword popularly known as Google Adwords. ....In this method you just have to sign in to Google Adwords and have to pay some money to buy Keywords from Google. For example if you are paying for "cheap guitars" Keyword then whenever anybody search on Google for "cheap guitars" your site will be displayed first in ads section ! ....In this method you are not suppose to buy keyword from the Google and in return Google won't put your site in the ads section and at this time you have to do SEO Search Engine Optimization of your blog. In Google adwords you will get the option of "Tools >> Keyword Planner" in which you can search the Keyword and see how many times it is Searched by others and you can use that particular keyword in your blog to rank it on the top. It will simply give you the estimation about how many times that particular word is searched and if you use that particular keyword in your blog it automatically improves your blog presences in Google search results. Step 2 :- Use Google Trends. Google Trends let you know about the Trending Topics/searches on the web. It will let you know how often the particular item is been searched on the web. So, you will get the clear idea about what to write by looking at the trending topics. Step 3 :- Use Google Products. Do use Google Plus, Google Maps etc. Google will reward its user. Your registration on Google maps will also improve Search Engine Optimization of your site and you can also use Google Plus for sharing your blog post's links and also for rich snippets. Step 4 :- Write Original and Quality Content. Obviously content is the King. It doesn't matter how much you are publicizing your blog/site but if you don't write quality content, you can't be able to attract the visitors. The below mentioned link will let you know how to write quality content. It must be of 1000-2000 words. Read Some Blogger Post Here ! Remember do not copy the content, as it will create wrong impression. Write original and descriptive content. Try to write on trending topics by using Google trends and always use Google keyword planner for good SEO. Do not Spam by doing very much use of keywords. Be clear about what you are writing, do not mislead user by writing anything. Always be Kind with your users, always thank them whenever they comment on your blog and regularly communicate with them, solve their queries via comments or emails. Step 5 :- Website designing plays important role in attracting users. The more your website/blog looks good will attract more and more users. You can also hire good website designer for your website designing or you can also learn basic coding online with top 10 sites. Use Photoshop a bit for editing images. Use various navigation, effects and animation in your website to attract users. I know everybody on the web is not the designer but you can hire one or use no coding requires website's building sites such as PagePicnic, WIX etc. Step 6 :- Use Quality Images. Images should be related/matched to the content you are writing. It should be original not just copied from Google images. Use proper designing tools to edit images and give them very attracting look which will definitely attract more and more users. Step 7 :- Use Google webmaster tools and Google Analytics. Google Analytics is the web service offered by Google, Used to measure your website's traffic and webmaster tool is used for indexing your website on Google or on any search engine. The well known search engine's are Google and Bing. Step 8 :- Submit Sitemap. Sitemap is the list of pages of a website accessible to crawlers or users. You can create free sitemap for your blog and then submit it to Google and Bing. Step 9 :- Choose Good Domain name. Use Google keywords to select the domain name. Good domain name will boost your traffic. It should be short and sweet that can be easily remembered to the users. Using good country TLD (top level domain) will surely boost your traffic locally but it may hurt international users. So, use that with caution. Try not to use numbers in the domain name. If you are smart try to buy expired or auction domain from Godaddy or BigRocks. As these domains has some reputation on the web. So, try to take profit of that. Step 10 :- Use Description and Meta-tags. Description of every page of your website is essential part to index your website on any search engine. Use proper meta tags as Google looks for it. You can mention your labels/subjects in the meta-tag part. Meta-tag has two essential fields. Title Tag :- Choose appropriate title to attract user as it is the only one which is shown to user by search engines. Google allows about 60 charters in the title while, yahoo allows 110 charters. So, every page should have unique and attractive title. META Description Tag :- Though this field is not important these days as many well reputed search engines doesn't support it now, But some search engine still supports it. So, after good title good description is required which tells about the topic. Step 11 :- Keep Site Clean and Simple. Site should be very clean and simple with proper navigation and effects. It doesn't confused users. Don't show many ads on the site as it creates the wrong impression. Website should be fast enough, it should not load much as its very irritating. This is the snap-shot of solvemyhow.com . You can see how simple and clean it is. Backlinks is the most important factor Google follows till today. Backlinks are the inbound or incoming links from other blogs or websites. So, why anybody will keep your website's link on there website ? For that you have to do some work. Write Guest Post, Link Exchange, Cross Promotion, Paid Advertising, Comment on the blogs/post which you like, but do not spam by commenting your post links too much. While, Spamming means using much of Google keywords, copying one's Content/images, Comment your post links on others blogs just for sake of getting backlinks. Step 13 :- Use Social Media Power. Well, right now Socializing your post on various social media is the most important thing which is rewarded by the Google. But do remember do not spam it. will give you good traffic. Step 14 :- Update Your Site Regularly. This is the most important step if you want your site on the top results of any search engines. Most search engines will reward the sites which are regularly updating. So, try to add content regularly on your site. These were the simple 14 steps to improve SEO Search Engine Optimization of your blog. If you found this article informative, consider it sharing with your Twitter, Google Plus and Facebook friends. If you have any query regarding SEO of your blog, please comment it below. 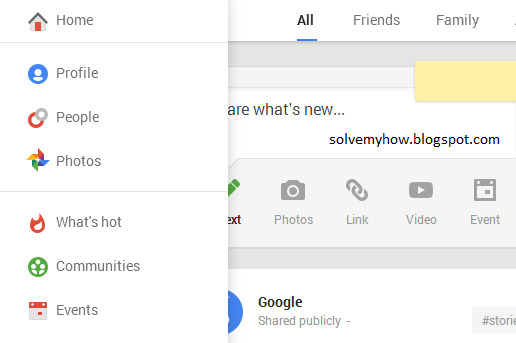 You can also subscribe for SolveMyHow newsletter to get SEO, Blogging and Hacking tips right into your inbox ! Thank you. Your post is very helpful. I know a lot of think from your post. Keep Visiting and Keep Sharing ...! Social media plays an immense role in Search Engine Optimization to improve the website traffics.If the traffic of the website would be increase,then it would get good reputation on Search engine. Well Said Man, and that's why I wrote this post to explain SEO with 14 simple steps. So, anybody can do FREE SEO of their Blog / Site ! Thank you for your kind words. Sure do let me know when you start your blog. Thank you for very much for your kind words and Currently I'm the only person behind this blog. But in future there may be a team. Looks you've made your blog and hope this post helps you. Sitelinks Search Box and Custom Domain To boost you website's Traffic. Well if you don't want to spend money in buying domain then get Free domain here ! Thank you for your kind words. Glad to help you. Now Go ahead and submit your blog to google . After that submit your blog to bing and yahoo search engine to get more organic traffic. Hi ! Thanks for generously sharing your ideas to blog better, appreciate you ! I came back once again to re read this post; and this time I truly want to make changes in my blogging, I am marking your page for reference, thanks again !! Angela do make changes to your blog according to the points suggested in the post and I guaranteed, You will definitely see traffic boost on your blog. Angela thanks for marking this page as reference. Please do share this post with your social media friends, After all "sharing is caring" right !